As the US employment rate drops the Australian dollar gets a boast. On Monday, the local unit was trading at 102.72 US cents from 102.54 cents. 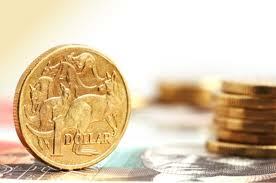 During local trade on Monday morning the currency also fell to 102.72 US cents after figures showed local retail spending fell 0.4 per cent in March, but was later up 2.2 per cent in the March quarter. At 1630 AEST on Monday, the June 10-year bond futures contract was trading at 96.875 (implying a yield of 3.125 %), down from 96.960 (3.040 %) on Friday. The June three-year bond futures contract was at 97.430 (2.570 %), down from 97.500 (2.500 %). The US economy created over 100,000 jobs in April and the unemployment rate dropped to 7.5% which is to believe to be the lowest level since 2008. The CMC Markets senior trader Tim Waterer said "The US jobs data gave the global growth landscape a more convincing appearance, commodities received renewed buying interest and this is reflected in the performance of resource stocks," . "Despite a push higher on Friday night after the US jobs number, the Australian dollar gave back ground today with a potential interest rate cut on the cards over the coming month or two." Following up with debate on whether RBA will reduce the interest rate from its current level of three percent. The RBA May board meeting is to take place on Tuesday.